Norm Thurston is a "free-market guy" — a conservative health economist in Republican-run Utah who rarely sees the government's involvement in anything as beneficial. But in a twist, the Utah state representative is now pushing the state to flex its muscle to spur federal action on ever-climbing prescription drug prices. "This is something that a red state like Utah could do," Thurston said. "Those outrageous cost increases are not the result of the free market." The approach: Let the state contract with wholesalers in Canada to import cheaper prescriptions and distribute them to the state's health care system. Other states -- including Vermont, West Virginia and Oklahoma -- are following similar paths, pushing legislation that would seek permission from the Trump administration to launch their own Canadian drug importation plans. Americans have long tried to buy cheaper drugs from their northern neighbor. But the practice is illegal. The states want to change that. The idea is for the state health department to establish a wholesale program that buys drugs from Canada and resells them to local pharmacies and hospitals. Individual states would be responsible for ensuring that the medications are safe and that importing them does save money. "This statute is putting pressure on the federal government to take a harder look at these questions," said Rachel Sachs, an associate law professor at Washington University of St. Louis, who researches drug price regulations. The federal government has been slow to act on this cost issue. Skeptics say a 30-page Trump administration memo on drug pricing released late last week would likely have only limited impact. But states, whose budgets for Medicaid and state employee health programs are squeezed by these costs, are moving forward. In Vermont alone, drug spending has gone up by 35% from 2010 to 2015, the most recent year for which data are available. Backers of the state plans call the strategy a no-brainer that could save hundreds of millions of dollars. They discount concerns about drug safety, arguing that drugs from Canada are made by reputable companies, often in the same facilities and by the same firms that sell them in the U.S. — but at much higher prices. "We would be bringing in drugs intended for the Canadian market, and therefore at Canadian pricing," Thurston said. The state measures use a framework put in place by the 2003 federal law that created the Medicare Part D program. That law says the U.S. Department of Health and Human Services can approve drug importation plans if it is convinced the plans will save money and will not create any public health concerns. Getting approval from the Health Department, though, is likely to be an uphill battle. In 15 years, the agency has never acted upon the 2003 law by approving any drug importation program. Last spring, when members of Congress pushed a national bill, a bipartisan group of former Food and Drug Administration commissioners came out in opposition, arguing it would be impossible to verify the absolute safety of the drugs. That bill ultimately failed to garner a majority vote. Alex Azar, the newly confirmed health secretary, said in a Senate hearing last fall that importation could jeopardize public health. Both the Food and Drug Administration and the drug industry echo that concern. "Public health is at risk when the safety measures put in place by federal laws and regulations are undermined or absent through the importation of unapproved foreign drugs," an FDA spokesman said. Some experts, though, say the bigger issue involves the savings. Thurston pointed to Utah state analysis that suggest the state could save $70 million in the private sector, and another $20 million to $30 million in state-funded insurance programs. But skeptics maintain that the drug industry would likely work to counter importation. They could tamp down how many prescriptions they sell in Canada, or find other ways to discourage Canadian wholesalers from participating, said Michael Law, a pharmaceutical policy expert and associate professor at the University of British Columbia's Center for Health Services and Policy Research. "My guess is any Canadian distributor to engage in that would find their [medication] supply dwindle quickly," he said. 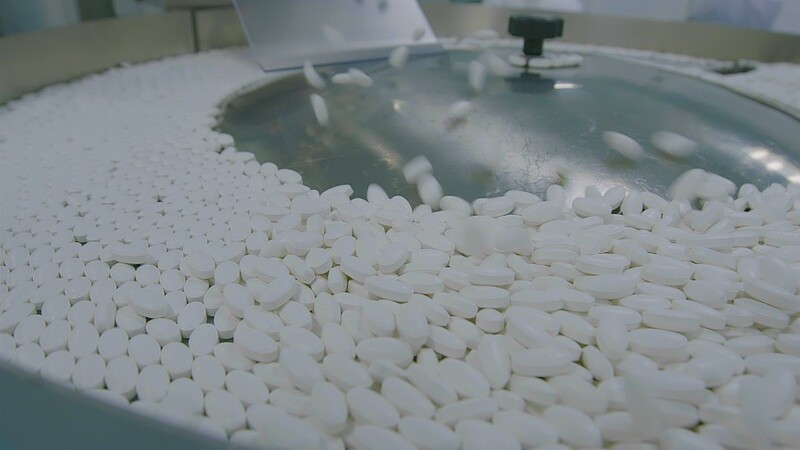 "The supplier systems in the United States would probably find it hard to get a [Canadian drug] supply in the long term." Priscilla VanderVeer, a spokeswoman for the trade group Pharmaceutical Research and Manufacturers of America (PhRMA), said the organization could not speculate on how individual drug companies may react to importation. Still, these state efforts could spur federal action, Sachs suggested — even if it's unclear how much effect importation would have. "Importation will not solve all the problems," she said. "But it could be a useful way to put pressure on a federal government and White House that has thus far largely been inactive on this topic."